Hailed as everything from the "leadeuse" of the new generation of French actresses to a young Isabelle Adjani or Sophie Marceau, Virginie Ledoyen is one of the fastest rising stars of the early 21st century. Bearing a dark-eyed, agile beauty, Ledoyen has brought fresh, bona fide talent to the face of both French and international cinema. Born in Aubervilliers on November 15, 1976, Ledoyen got her first taste of show business when, as a five-year-old model, she was used for an advertisement made by a friend of her mother's. The experience got her hooked on acting, and at the age of seven she began attending the Parisian drama school l'Ecole du Spectacle. Three years later, she appeared in her first film, Les exploits d'un jeune Don Juan, and a year after that, she began acting on the stage. The early '90s saw Ledoyen began to do steady film work, with a small part in the bedroom comedy Les Marmottes (1993) followed by two strong leading roles in Olivier Assayas' L'eau froide (1994) and Benoît Jacquot's La vie de Marianne (1994). She again worked with Jacquot in 1995's La fille seule, in which she starred as a pregnant young hotel worker who goes about her job after telling her sullen boyfriend she intends to have his baby. 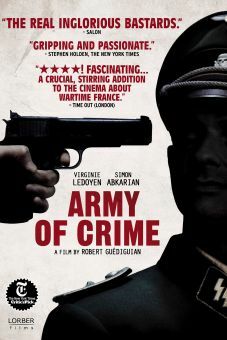 The film, which focused almost solely on Ledoyen for 90 minutes, was something of a surprise art house hit in the States, and Ledoyen's performance earned her a César nomination. Thanks to the film's success and a strong supporting performance in Claude Chabrol's La Cérémonie that same year, the young actress was soon taking calls from such directors as Woody Allen and Abel Ferrara. 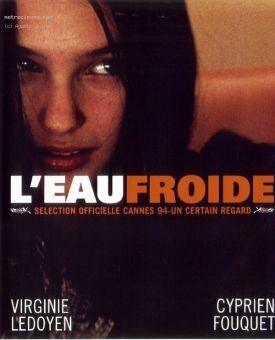 Following a supporting role in Hong Kong director Edward Yang's Mahjong (1996), Ledoyen starred as a young musician whose sudden fame causes her to engage in all sorts of questionable behavior in Héroïnes (1997); although the film received mixed reviews, Ledoyen's work was widely praised. The following year, her recognition and respect continued to grow, thanks to solid work in no less than four films. En Plein Coeur featured her as a petty criminal who becomes involved with an older, wealthy man, while Assayas's Fin Aout Debut Septembre was a romantic ensemble drama that cast Ledoyen as a young designer who navigates the uncertainties of love. 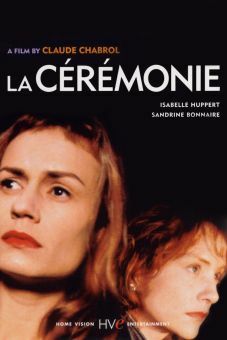 In Olivier Duscatel's acclaimed musical comedy about AIDS, Jeanne et le Garçon Formidable, the actress played a young woman who finds her perfect guy in a man who happens to be HIV-positive and earned a Best Actress award at the Paris Film Festival for her work. That same year, she had a small but pivotal role in Merchant-Ivory's A Soldier's Daughter Never Cries, which succeeded in introducing her to a new audience. But however successful that film may have been in widening Ledoyen's fan base, it was nothing compared to the hype surrounding the actress' starring role alongside Leonardo DiCaprio in The Beach (2000), Danny Boyle's adaptation of Alex Garland's novel about paradise found and then brutally lost. Began modeling at the age of 2. Made her stage debut at the age of 10 in a production of Les Exploits d'un Jeune Don Juan. Took the stage name Ledoyen after her paternal grandmother, who was also an actor. Left home at the age of 16 in order to spend some time alone. Attended Cannes in 1999 as a representative of L'Oreal, one of the festival's sponsors.